The Company generated positive operating cash flow of $11.6 million in Q2 2019 vs a $1.1 million outflow in Q2 2018. $9.5 million was paid down on the Company's revolving facility in Q2 2019 and $16.4 million YTD. At the end of the second quarter, the Company signed its largest multi-year content partnership agreement which is expected to begin generating earnings this year. Total revenue for Q2 2019 was $117.0 million vs $121.9 million in Q2 2018. H1 2019 revenue was largely flat at $221.1 million. Adjusted EBITDA for Q2 2019 was $22.0 million vs $32.0 million in Q2 2018, and for H1 2019 was $39.3 million vs $54.8 million a year ago. Adjusted EBITDA was reduced by $4.7 million in Q2 2019 and $8.6 million in H1 2019, due to the sale of a minority stake in Peanuts to Sony1. Net loss for Q2 was $17.9 million, or $0.13 per share, vs net income of $7.4 million, or $0.06 per share, in Q2 2018. Net loss for H1 2019 was $20.3 million, or $0.15 per share, vs net income of $15.6 million, or $0.12 per share, in H1 2018. The decline was primarily due to increases in non-cash, unrealized foreign exchange losses. WildBrain grew views 29% to more than 7 billion in the quarter. Revenue rose 13% to $19.9 million vs $17.6 million in Q2 2018, marking WildBrain's highest revenue quarter to date. H1 2019 revenue rose 27% to $36.2 million from a year ago. Initiating process to reorganize the Company into two subsidiaries to enhance strategic flexibility. HALIFAX, Feb. 12, 2019 /CNW/ - DHX Media Ltd. (or the "Company") (TSX: DHX; NASDAQ: DHXM), a global children's content and brands company, reported its Fiscal 2019 second quarter ("Q2 2019") and first six-month ("H1 2019") results for the periods ended December 31, 2018. "In our second quarter, we made progress against our three strategic priorities of producing premium content, growing WildBrain and improving cash generation," said Michael Donovan, Executive Chair and CEO, DHX Media. "We signed the largest content deal in the history of the Company, which we believe will contribute steady EBITDA for the coming years, and WildBrain continued to deliver double-digit growth. We also experienced a 7% rise in consumer products revenue from Peanuts. Our strategic shift and disciplined cost management contributed to positive cash flow and allowed us to pay down $9.5 million of our debt in the quarter." Mr. Donovan added: "DHX Media continues to sharpen its focus on its digital strategy. The Board of Directors has decided to reorganize the Company under two subsidiaries along business lines, one for its cash-flow generating studios and TV channels, and one for its global digital and content assets with significant growth potential, including WildBrain, Distribution and Consumer Products." 2018, marking WildBrain's highest quarter to date in dollar terms. videos watched, up 33% from the same prior year quarter. on-demand) platforms: Apple TV, Amazon Fire and Roku. which is expected to contribute steady EBITDA for the coming years. China, including CCTV, Tencent, iQiyi and YouKu. improve margins beyond Fiscal 2019.
in-house to CPLG for Russia and Eastern Europe. the Company's Q2 2019 Management Discussion and Analysis. Q2 2019 revenue was $117.0 million compared with $121.9 million in the same prior-year period. In H1 2019, revenue was largely flat at $221.1 million vs the first-half of Fiscal 2018, reflecting our transition as we reposition our assets to meet the growing and evolving market for kids' content. In the quarter, Distribution (excluding WildBrain) was $13.7 million vs $16.6 million in Q2 2018, down $2.9 million. Sequentially, Q2 2019 increased by $4.9 million over Q1 2019. We are investing to further build our distribution pipeline and we expect to see growth in distribution revenue in H2 2019, compared to H1 2019. WildBrain views increased 29% to 7 billion in Q2 2019. Revenue grew 13% to $19.9 million. This was WildBrain's strongest quarter to date, with respect to both viewers and total revenue. However, the rate of revenue growth slowed in the quarter, which we believe was impacted by a number of factors, including management transitions at WildBrain and a shift of kids' viewing from the main YouTube platform to the new YouTube Kids dedicated app. We see the slowdown as transitional. In the past, algorithm changes and various other platform improvements have temporarily affected the rate of revenue growth at WildBrain, but ultimately led to better monetization and user experience. Additionally, we are pursuing numerous initiatives to unlock the value of WildBrain's large and growing user base, including further mining our content library, growing the WildBrain network with new third-party brands, and expanding into new revenue areas and platforms to drive future growth. During Q2 2019, we also continued to see consistent royalties from consumer products derived from our owned IP, mainly driven by Peanuts, and momentum rebuilding in our consumer products-represented business. Gross Margin was 42% and 41% for Q2 and H1 2019, respectively, compared with 44% for each of the same prior year periods in Fiscal 2018. The decline was largely due to a lower volume of business in non-WildBrain distribution and the increasing share of revenue derived from WildBrain. These factors were partially offset by higher margins in the television business, as we continue to maintain steady subscriber revenue while controlling programming costs by exploiting our content library. We expect margin to improve as a consequence of anticipated growth in distribution (excluding WildBrain) revenue in H2 2019. Adjusted EBITDA was $22.0 million in Q2 2019 and $39.3 million in the H1 2019. This compared with $32.0 million in Q2 2018 and $54.8 million in H1 2018. In the Fiscal 2019 periods, Adjusted EBITDA was reduced by $4.7 million and $8.6 million, respectively, due to the sale of the minority stake in Peanuts1. Q2 2019 recorded a net loss of $17.9 million vs net income of $7.4 million in the prior year quarter. In H1 2019, net loss was $20.3 million compared with net income of $15.6 million in the same period a year ago. The decline was in part due to: a larger non-controlling interest in Peanuts due to the Sony transaction; a $15.5 million non-cash, unrealized foreign exchange loss in Q2 2019, which was mainly the result of a change in carrying value of our US dollar-dominated debt; and changes in the fair value of embedded derivatives. We paid down our revolving facility by $9.5 million during Q2 2019, and by $16.4 million in the first-half of Fiscal 2019, as part of our commitment to reduce debt. The Company's debt leverage ratio was 5.62x at Q2 2019. The net leverage ratio calculation is based on the definition in the Company's senior secured credit agreement available on SEDAR at www.sedar.com. DHX Media's library titles continued to be in demand globally. Heading into its third season, The Deep saw 10 new distribution deals signed, bringing the total broadcasters and streaming services for this animated series up to 40 globally. Other library deals were signed with Amazon in the US and India, BBC Worldwide, and Hunan TV in China, and included such shows as Teletubbies, Inspector Gadget, Cloudy with a Chance of Meatballs and In the Night Garden. Peanuts executed 66 new licensing agreements across multiple categories and territories in Q2 2019. The brand's evergreen appeal was further highlighted this past holiday season in the US, where the Peanuts' Thanksgiving and Christmas specials won their nights for broadcaster ABC, rating #1 for all-family viewing. A successful 40-city run of the US stage production, A Charlie Brown Christmas, and the first-ever Peanuts Lantern Festivals in China reflected the strong international demand of location-based entertainment for the franchise. During this fall season, our TV channels in Canada experienced a 28% rise in ratings in our core audience group of 2-11 year-olds vs last year. While the channels are mainly subscriber-driven, revenue from advertising showed growth, rising 21% to $1.7 million in Q2 2019 vs Q2 2018. CPLG continued to expand its third-party representation across territories, having been recently appointed the worldwide consumer products licensing agent for Andrew Lloyd Webber's The Phantom of the Opera, CATS and Starlight Express. CPLG will develop a cross-category licensing program inspired by Webber's award-winning musicals. Other recent appointments for CPLG included emoji in Russia, France and Greece and for MGM's upcoming animated feature film, The Addams Family, in EMEA (Europe, the Middle East and Africa). DHX Media Management will host a live webcast and presentation with slides for analysts and investors at 8:00 a.m. ET on February 12, 2019, at the following address: https://event.on24.com/wcc/r/1923063/8D02C59FF0E65EF3877302924788C0A6. To listen by phone only, please call +1 (888) 231-8191 or +1 (647) 427-7450 internationally, and reference conference ID 2498567. Please allow 10 minutes to be connected to the conference call. The presentation for the call will also be posted to the Investor Relations section of our website, at: http://www.dhxmedia.com/investors/. Instant replay will be available after the call on +1 (855) 859-2056 toll free, under passcode 2498567, until 11:59 p.m. ET, February 19, 2019. DHX Media Ltd. (TSX: DHX, NASDAQ: DHXM) is a global children's content and brands company, recognized for such high-profile properties as Peanuts, Teletubbies, Strawberry Shortcake, Caillou, Inspector Gadget, and the acclaimed Degrassi franchise. One of the world's foremost producers of children's shows, DHX Media owns the world's largest independent library of children's content, at 13,000 half-hours. It licenses its content to broadcasters and streaming services worldwide and generates royalties through its global consumer products program. Through its subsidiary, WildBrain, DHX Media operates one of the largest networks of children's channels on YouTube. Headquartered in Canada, DHX Media has offices worldwide. 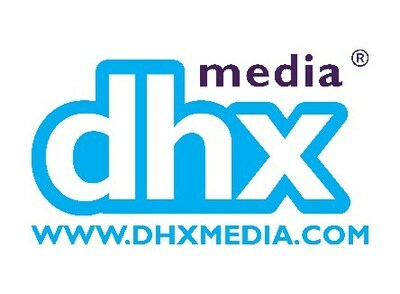 Visit us at www.dhxmedia.com. This press release contains "forward-looking statements" under applicable securities laws with respect to DHX Media including, without limitation, statements regarding expected financial results from content deals, the reorganization of the Company and expected results therefrom, the Company's strategic priorities and the Company's progress with respect to such priorities, expectations for growth of certain business lines of the Company, including WildBrain and distribution, cost rationalization initiatives, synergies and targeted cost savings, the Company's transition and repositioning of its assets, market changes and demand for kids content, pursuit of initiatives through WildBrain and expected results therefrom, investments by the Company in distribution resources, and the business strategies and operational activities of the Company and expected results therefrom. Although the Company believes that the expectations reflected in such forward-looking statements are reasonable, such statements involve risks and uncertainties and are based on information currently available to the Company. Actual results or events may differ materially from those expressed or implied by such forward-looking statements. Factors that could cause actual results or events to differ materially from current expectations, among other things, include the ability of the Company to execute on its business strategies and strategic initiatives, the ability of the Company to execute on cost rationalization initiatives and realize expected operating savings, consumer preferences, market factors, regulatory and contract risk, and risk factors discussed in materials filed with applicable securities regulatory authorities from time to time, including matters discussed under "Risk Factors" in the Company's most recent Annual Information Form and annual Management Discussion and Analysis, which also form part of the Company's annual report on Form 40-F filed with the U.S. Securities and Exchange Commission. These forward-looking statements are made as of the date hereof, and the Company assumes no obligation to update or revise them to reflect new events or circumstances, except as required by law.